Use as an add-on or replacement crossbody shoulder strap. 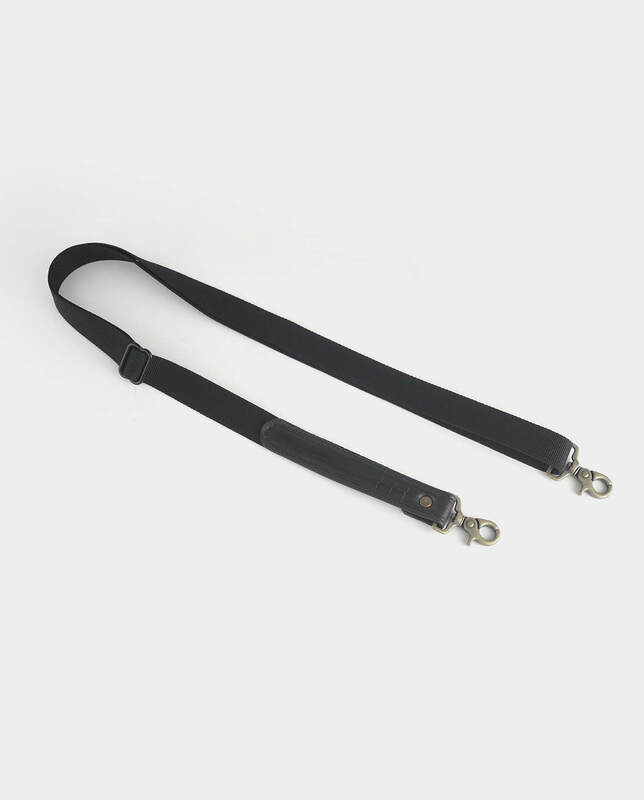 It features antique brass hardware and is made from mil-spec Cordura® nylon webbing and recycled bike inner tube. This webbing has low reflectivity, no color change with abrasion, and better resistance to sunlight fading. Can be adjusted from 34″ to 53″ long. Each piece is handmade in the USA.